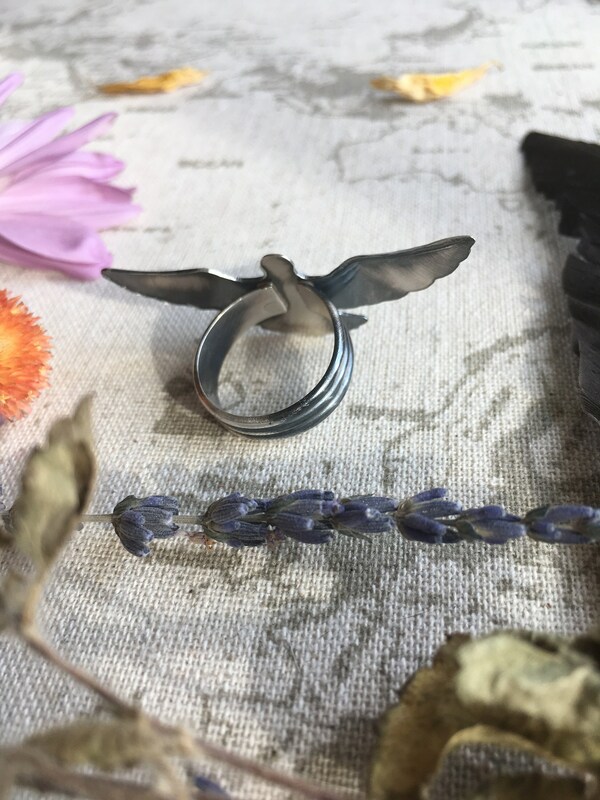 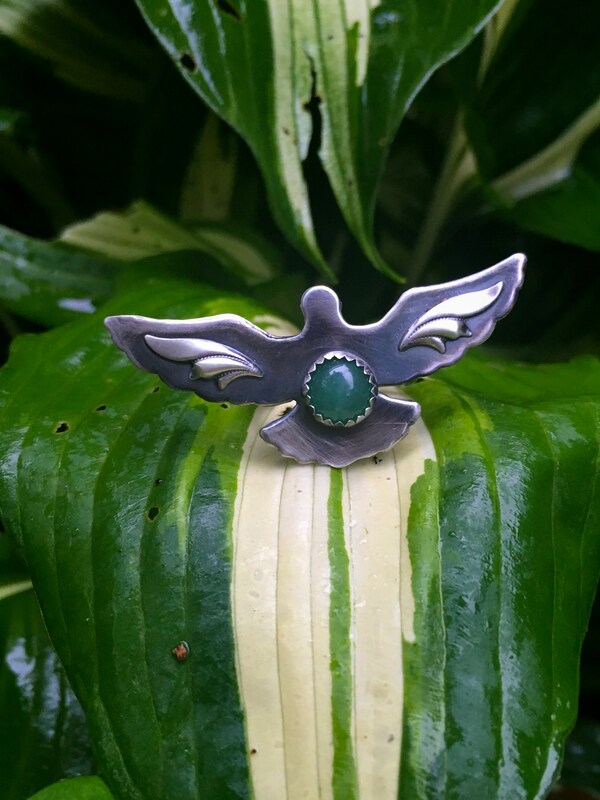 Luyu, Wild Dove Sterling Silver Dove Statement Ring, Aventurine, size 8. 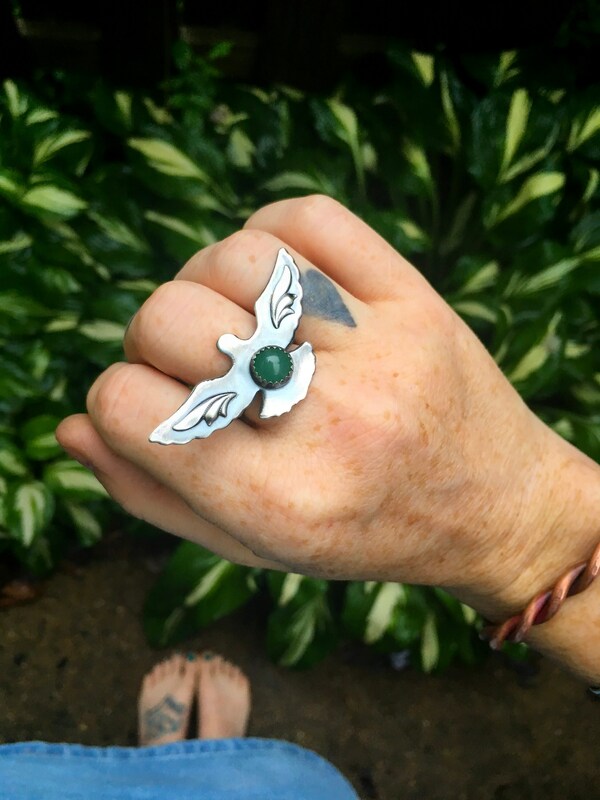 Wild dove hand forged sterling and Aventurine statement ring on a triple band detailed band. 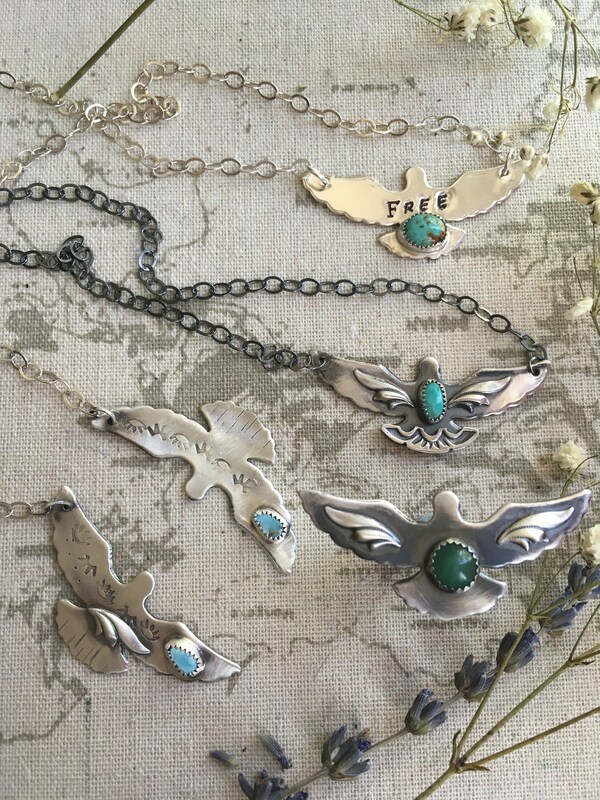 Gorgeous and feminine, this necklace has been oxidized to show details and gives a 3 dimensional affect. 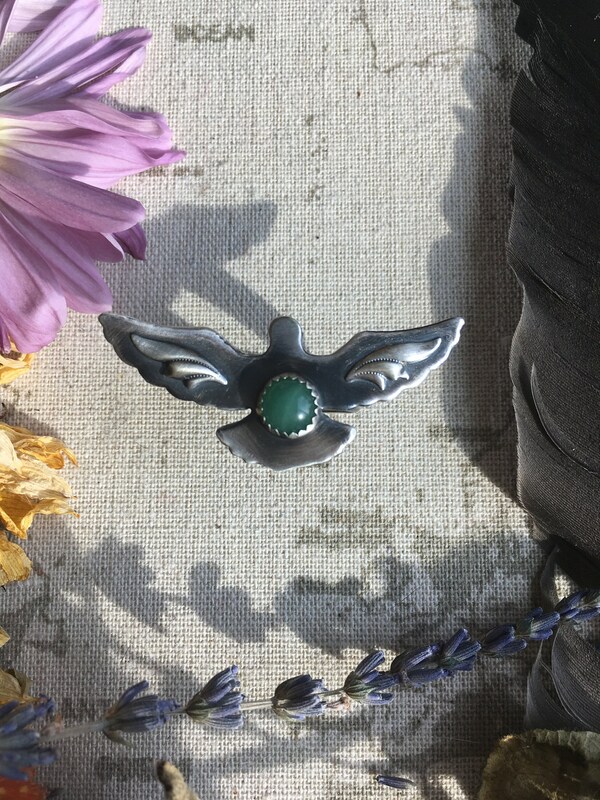 The Dove is 2” wide. 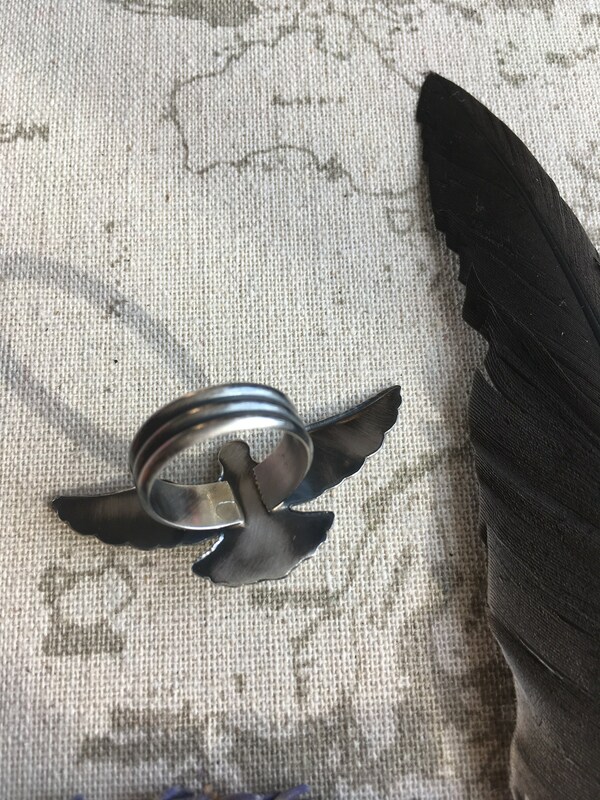 From head to tail, the Dove is 1". 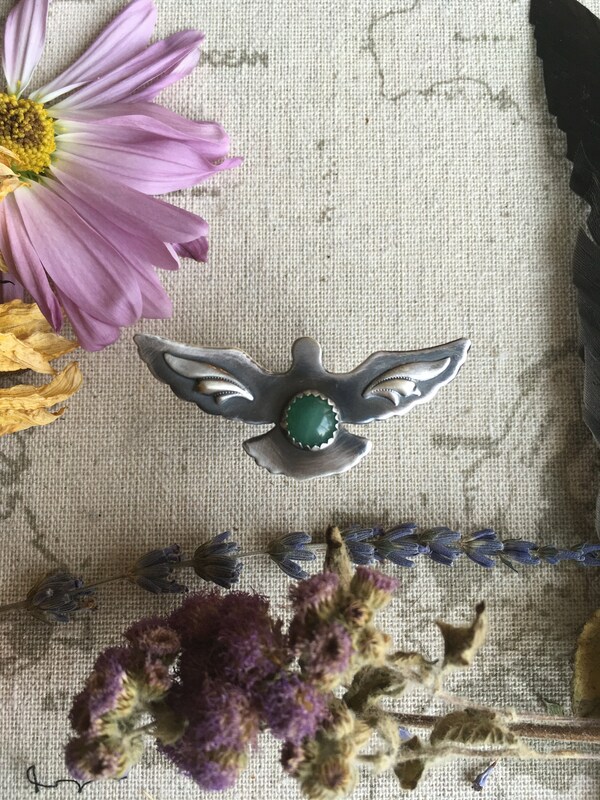 Containing particles of mica formed from microcrystalline quartz, Aventurine is known for its sparkly sheen that glistens under light. 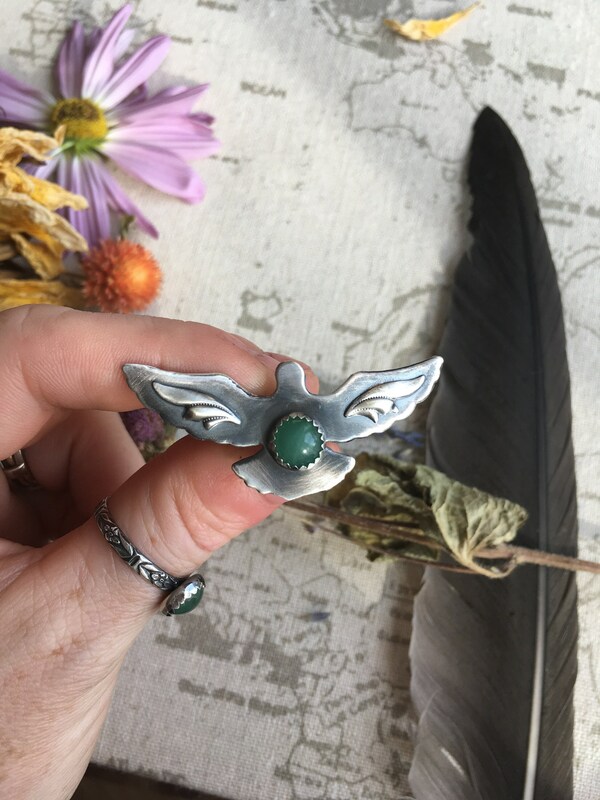 Aventurine properties are linked with the solar plexus chakra, which makes it a powerful gem for calming negative emotions such as anger that often gets stuck in the lower abdominal area.